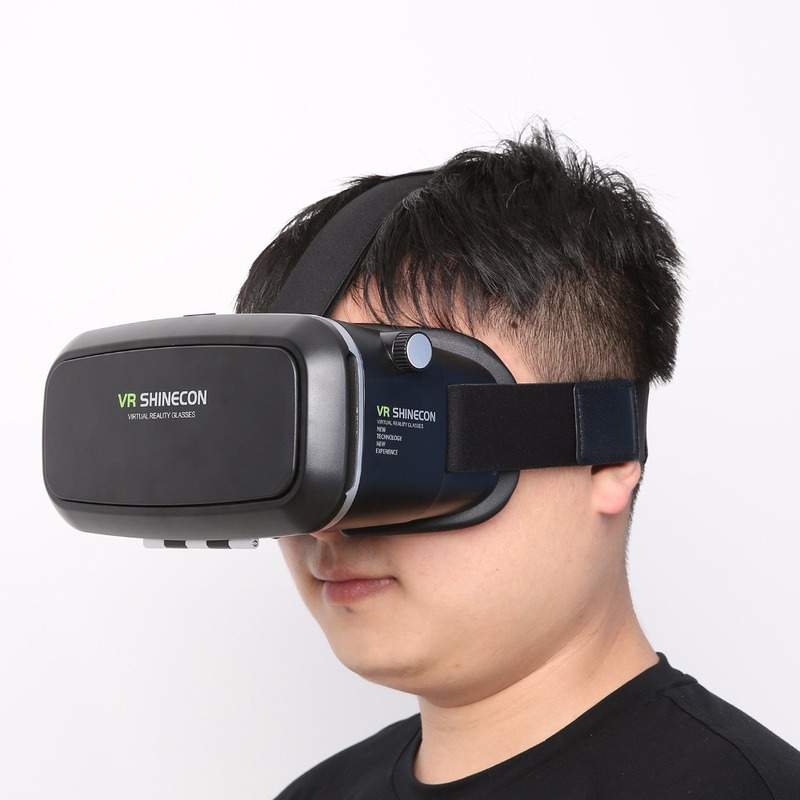 VR Shinecon Virtual Reality 3D Movie Smartphone Game 3D Glasses Helmet 3 D VR Cardboard 4.7-6″ Smart Phone+ Bluetooth Controller	Description: Dimension: 200*100*140mm	Weight: 380g (including headband)	Pupil Distance: 58-68mm	Object Distance: up to 5mm, suitable for short-sighted	Supporting Mobile Phone Size: 4.0-6.0 inch	Mobile Phone Resolution: The higher the resolution is, the better performance. Remote Control Type: Bluetooth wireless remote control	Blinder: High-grade breathable leather	Lens: HD optical transmittance lenses	Package Include:	1 x 3D VR Glasses 1 x Head Strap 1 x Cleaning Cloth 1 x User Manual How to Use ? download the test about whether or not split screen video and games and normal play . pls adjusting the direction of mobile phone . without wearing myupia lens .